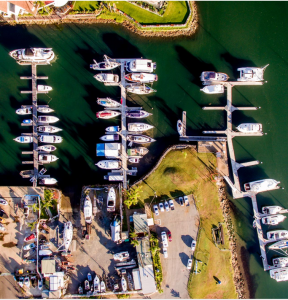 Recent upgrades at Port Macquarie Marina have given the region a first-class facility – improving services for local boat owners and able to attract multi-million-dollar yachts from Australia around the world. The stage-one development – at a cost of $2.8 million – has put the marina on a par with some of the best, and has transformed the site into a vibrant community hub. 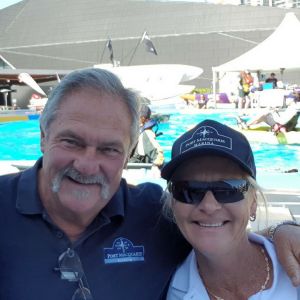 “Essentially we have an entirely new marina and specialised marina services precinct able to accommodate world-class yachts and giving local boat owners an improved experience,” said Marina Manager Daimon Martin. Upgrades include new retail areas and office spaces for tenants; new boat berths and pontoons; a new slipway & hardstand area (for boat servicing); pro fenders (to better protect boats) in the 24/7 fuelling bay; upgrades to amenities; new balustrades on walkways; new lighting and CCTV cameras; landscaping; and car park re-asphalting and expansion. The new D Arm can accommodate vessels of up to 24 metres (80 feet) – doubling the maximum berth length of the marina – while the addition of solar panels and other measures will minimise its environmental footprint. Commencing in January 2017, the works took 18 months to complete and engaged local and leading national contractors, including local architect Derek Collins and leading berth suppliers and installers Bellingham Marine. By bringing in local clubs including Port Macquarie Game Fishing Club and Flamin’ Dragons (the local dragon boat club), PMM Outrigger Canoe Club and Kayaktivity, as well as fabulous eateries Quay Lime Bar + Grill and Seasalt café, the marina has become more than just for boat owners, but a place the local community can enjoy. “Our vision is not just about improving facilities for boat owners and attracting visitors, it’s about opening up access to a very unique ocean environment and giving the local community a space they can enjoy. “The result is a boost to the local economy, confidence for local retailers and a vibrant hub of activity for locals – everyone benefits. The big news at the Bay is that JJs @ the Marina is expanding into more outdoor foodie dining options and events. 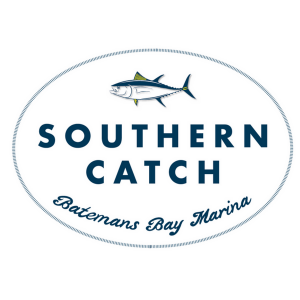 They have also just opened their fishmonger Southern Catch on-site, where you can purchase freshly caught and expertly prepared fish. The perfect place to start your day, relax in the afternoon or dine at sunset, and with a spectacular view of the bay, make sure JJs @ the Marina is on your list next time you visit. 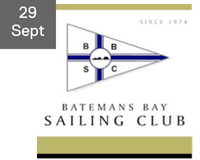 Batemans Bay Sailing Club’s Summer Series of racing for keelboats, multihulls and off-the-beach boats will commence on Saturday 29 September 2018. A comprehensive calendar includes windward/leeward and fixed mark course racing, coastal, twilight, ladies helm events and regattas. Racing is conducted on Saturdays and Sundays. For more information visit the club website. If you haven’t been on the water for a while, now is the time for preparation. See King Brothers Marine at the slipway for detailing, engine services, clears and canopy service and repair. They also offer a general 20-point boat safety check for everything from batteries to safety gear. Call them on 0412 418 482. If you have a trailer boat it’s time to check the wheel bearings and trailer lights and pump up the tyres. See Daimon or Jorge for on-site Trailer Boat storage, a hassle-free option to help you make the most of your on-water time this season. Phone 0448 094 285 for bookings. A reminder from Daimon about refueling safety: if you have Bilge blowers, please remember to turn them on after refueling and prior to turning on the ignition! 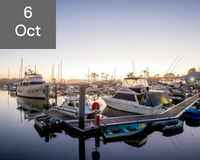 Opening on 1 November is Port Macquarie Marina Slipways – your one-stop-shop for boat servicing. Located at the slipway on-site, professional shipwrights will provide expert attention – including modifications and construction. Our retail and dining precinct has received another vote of confidence with Seasalt winning the 2018 Hastings Business Award for restaurants and cafés. Not just offering fabulous food and a marina view, you’ll find friendly service every time. Joining the outstanding line-up of top eateries is Captain Nemo’s on the Marina (a Muzikworx Event project). Opening soon, you’ll be able to experience the fusion of five-star Japanese cuisine with an exquisite fish and chippery. Focusing on organic produce sourced locally, this swanky spot is set to shake up Port Macquarie’s culinary scene. 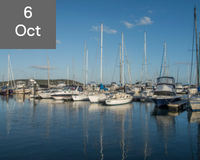 The first week of October marks the start of the boating season, so we’ve decided to celebrate with an Open Season BBQ at Port Macquarie Marina and Batemans Bay Marina. There will be cold drinks, delicious BBQ food, and healthy banter. Please join us! Following Bill Oliver’s retirement (we hope he’s enjoying his sailing trip up north), we would like to welcome Alec Mulvey as the new Marina Manager of Port Macquarie Marina. Alec has been part of our marina community for the past four years, and he’s ready to help you with all your needs. You can find out more about Alec in the Local Spotlight section of Marina Insider. For marina enquires, Alec can be contacted on 0448 096 395. 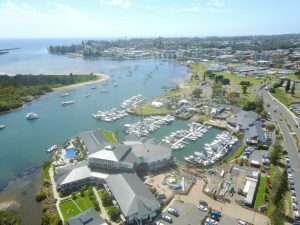 Daimon Martin has been appointed General Manager of both Port Macquarie Marina and Batemans Bay Marina. On top of his managerial duties at Batemans Bay, he now has overarching responsibility for the strategic direction of the sister sites. Daimon is based at the Bay and will be visiting Port Macquarie every one to two months. 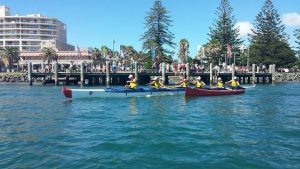 Port Macquarie Maroro Outrigger Canoe Club needs your help! 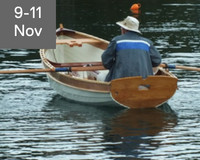 Port Macquarie Maroro Outrigger Canoe Club will be hosting the 2018 National OCq/2/V1 Titles on the weekend of 1-2 December. It will consist of two races on Saturday and one on Sunday. To ensure the safety and success of these races and the 300 competitors, we are calling on local boat owners to lend a hand as support boats to patrol the field between the Lead and the Chase boats. Your role will be to oversee the paddlers and assist any competitor as required or as directed by the Race Director. All fuel costs will be covered. If you can help, please contact President PMMOCC Wes Byrnes 0417 643 336. Get connected with your boating community on Facebook and Instagram! A great way to build community, you’ll also find out about the latest news, promotions and events, have a chance to win prizes, and share your thoughts. Incidents in Tasmania involving bar crossings, which resulted in one death, prompted authorities to remind boaties about safety around bars. One of the main challenges presented by bars is they move constantly with sand movements. People need to check swell heights, wave heights and wind, and you should never cross a bar at low tide. For a comprehensive explanation about bars and crossings, watch the Australian Boat College’s YouTube video How to Cross Coastal Bars Safely. For more tips on safe boating and to update your knowledge, you can review the Safe Boating Campaign 2018 resource kit. Led by the National Safe Boating Council in the US, the Safe Boating Campaign is a worldwide effort to encourage responsible boating. The Boating Industry magazine says ethanol still presents a challenge, based on a survey of its readers. A large proportion of respondents (85%) said they had seen damage to engines or components caused by ethanol. There was also concern over the risk of filling up with the incorrect fuel at a service station. Refueling at Batemans Bay Marina and Port Macquarie Marina, you can be assured of the highest quality clean fuels. There is 24/7 access at both sites, with well equipped fuel berth facilities for the entire on-water community. Ever thought about boating abroad? This piece by The Guardian paints a glowing picture of boating in the canals of the south of France. Or perhaps you’d like to take your own superyacht someplace? 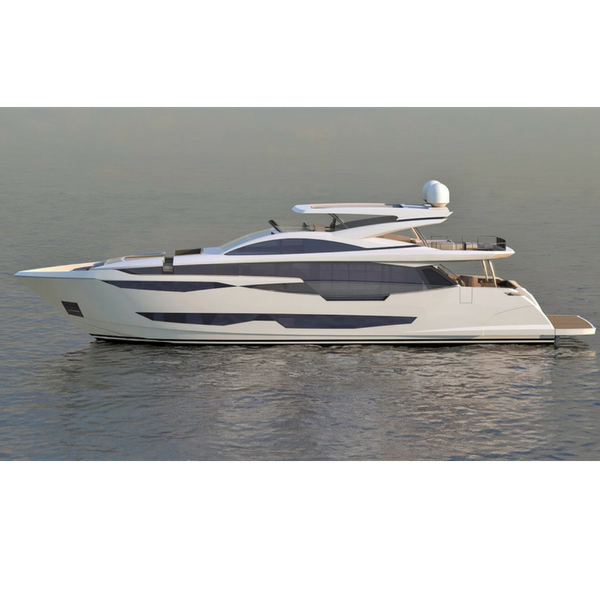 The Pearl 95 is Pearl Yachts’ debut into the superyacht market. You might want to take a new Fusion Marine Entertainment unit with you. Eurobodalla Shire Council invites artists from New South Wales and the Australian Capital Territory to submit an entry to the Basil Sellers Art Prize. Businessman and philanthropist, Basil Sellers, will acquire the winning piece, and the works will be exhibited in conjunction with the opening of the Basil Sellers Exhibition Centre and Moruya Library Extension in February 2019. To find out more, click here. Port Macquarie-Hastings Council now has a quarterly newsletter Community Now to keep you up-to-date with Council initiatives and activities, including local projects and regional events. They also have a YouTube channel. To find out more, click here. Di Lippiatt has an adventurous spirit. She joined the army on a whim at the age of 17 after seeing an ad in the newspaper. 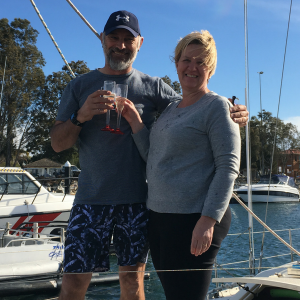 Thirty-five years later, Di and her husband Cal have decided to spend their retirement sailing. 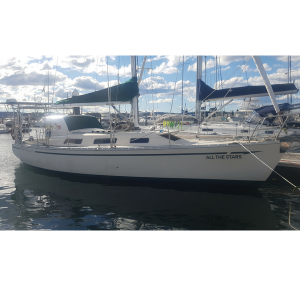 Part of the Batemans Bay sailing community for the past 10 years, they owned a steel boat before buying their Cavalier 37 in August 2016. “I didn’t start sailing until 2007. I tried it because my husband was sailing and I wanted to experience it with him,” says Di. Already on their way by the time you’re reading this, Di and Cal plan to circumnavigate Australia over the next five years, taking their time, and stopping where they please. They say they’ll be back on land to see their daughters, but have no plans for a permanent return. One of their daughters will be living in their land-based Tarcutta home indefinitely, and Di says they might end up somewhere in Asia. Both experienced boaties, they’ve weathered storms, have had to fix engines while floating out at sea, and spent six months delivering a yacht from Brisbane to Townsville – to make sure they could put up with each other on a boat long-term. “The turning point for me was during our six-month trip, when I came up on deck one morning and saw a whale and her calf breeching in front of me,” says Di. “It’s amazing being out on the water for long periods of time, with no noise, watching the wildlife, and I love the freedom of being spontaneous. Di and Cal have just had a renaming ceremony for their boat, now called All the Stars. It’s a sentimental phrase for them both. They threw expensive champagne over the side of the boat, for good luck. Alec Mulvey, the new Marina Manager for Port Macquarie Marina, brings more than a love of boats to the role. 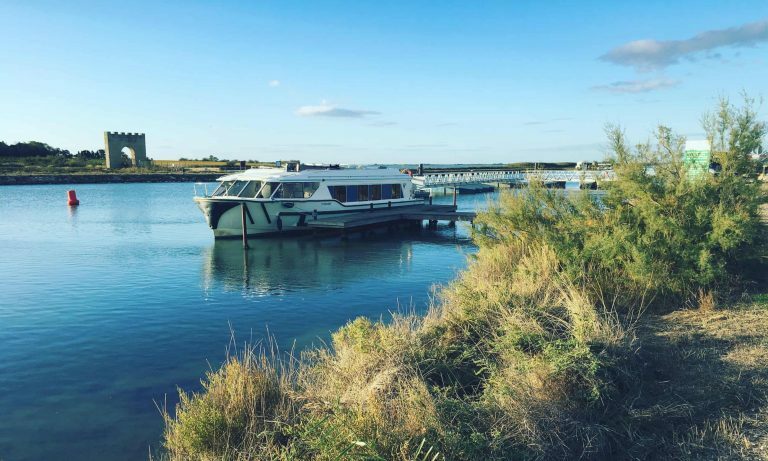 After spending 38 years growing his transport business into a strong national competitor employing over 50 people, he has the skillset needed for a marina in a state of transformation. “I got out of the transport business in October last year and heard the marina was looking for someone with good management skills, so I threw my hat in the ring,” says Al. “I love the challenge of an industry that needs a lot of attention and all the project work on-site. Alec and his wife Carol have been regulars at Port Macquarie Marina since buying their Riviera 39 four years ago, and mooring it on-site. They’ve since sold their former home up the coast and have embraced their new life in Port Macquarie wholeheartedly. A husband and wife team, if Alec is around then Carol won’t be too far away. “Carol and I have always worked side-by-side, we think of ourselves as a team, and we couldn’t be happier that way,” says Alec. “I love the marina life, I love meeting people, and you’ll find us there most days even if I’m not meant to be working. Next time you’re at the marina please say hello to Alec and Carol, and welcome them aboard. 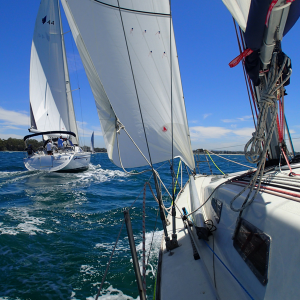 Batemans Bay Sailing Club’s Summer Series 2018-19 of racing for keelboats, multihulls and off-the-beach boats begins. Please join us on the lawns of Batemans Bay Marina for an Open Season BBQ 12pm-4pm. 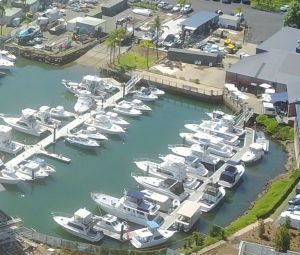 Please join us on the lawns of Port Macquarie Marina for an Open Season BBQ 12pm-4pm. 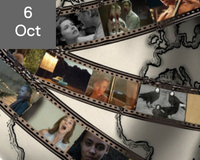 Manhattan Short Film Festival presented by Glasshouse Port Macquarie offers you the chance to unite with 100,000 film lovers over 300 venues across six contents for one week to vote on the 10 best short films in the world. 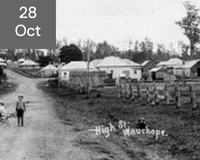 Port Macquarie Hastings Bicentenary Celebration will bring together cultural and heritage elements alongside locally produced food, wine, arts, crafts and music. © 2017 Batemans Bay Marina. All Rights Reserved.